Take some inspiration from TDC athlete Chris McCarthy! 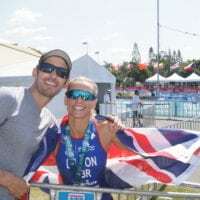 Emma Pallant is crowned British Champ at Windsor Triathlon! TDC Triathlon Camp in Lanza! Recently TDC coach Perry Agass headed out to Lanzarote with a few athletes. It was a very successful training camp with hard work combined with fun in the sun to get some of our athletes ready for the race season…. Kyle Follet’s Blog post TDC training camp Lanza! Ian Gilham off to a fantastic start! Cris Swinhoe inspiring as always! 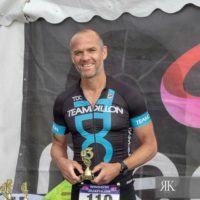 TDC Peter Longworth takes us through his 70.3 experience! Stu Hayes – My Olympic Experience – Part of GB History! TDC athlete Michael Kontaratos – Mission Accomplished IM Austria! Jimmy Seear shares his Liverpool race experience with us! Jimmy Seear lead from the start until the 5km mark on the run to be overtaken by one of his TDC team mates Clark Ellice on the run to finish a fantastic 2nd place at the Liverpool 5150 last weekend…. Jimmy Seear takes us through his recent 5150 race! Michelle Dillon finishes 4th at Windsor! 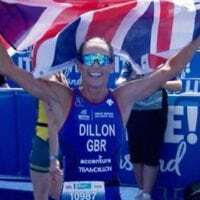 Michelle Dillon known more these days for her successful coaching than athletic performances, raced as a last minute entry at the Windsor Triathlon after retiring from the sport more than 4 years ago due to double fusion in her spine….